Vacation rental house. 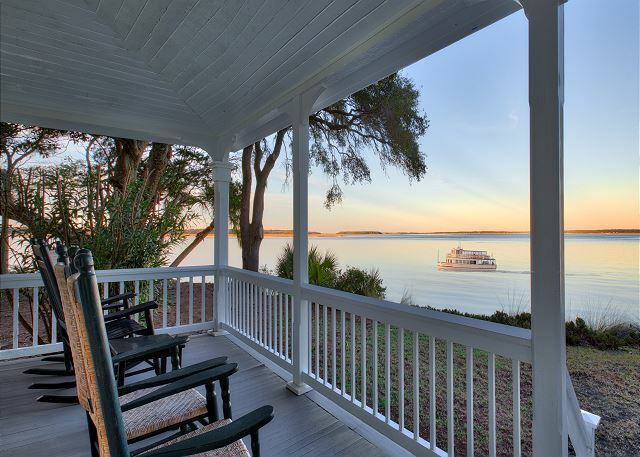 Sleeps 4, 2 bedrooms, 2.5 bathrooms. Dogs allowed. 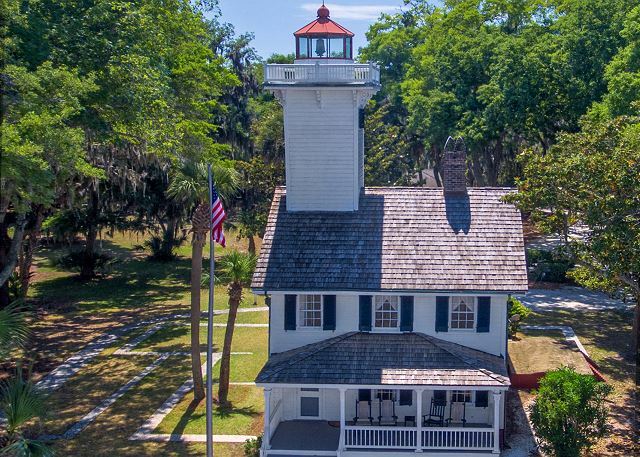 In 1872, construction commenced on the Lighthouse that would guide captains navigating the shifting shoals of Calibogue Sound. 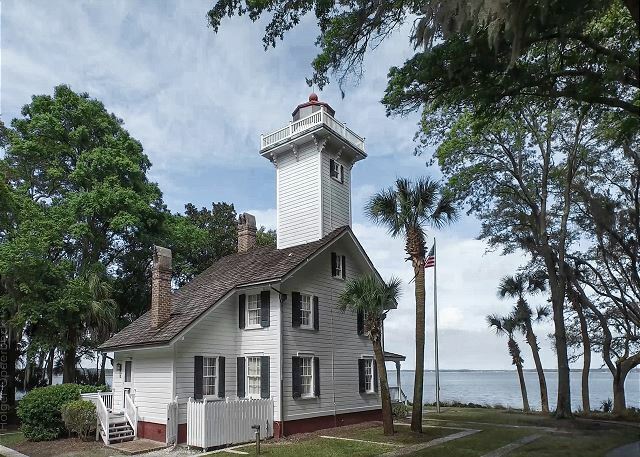 The Lighthouse’s 40-foot tower served mariners traveling around the northern tip of Daufuskie between 1873 to the 1930s. After many years passed with no attention to the structure, the Lighthouse was restored in the 1980s after development began at Haig Point. 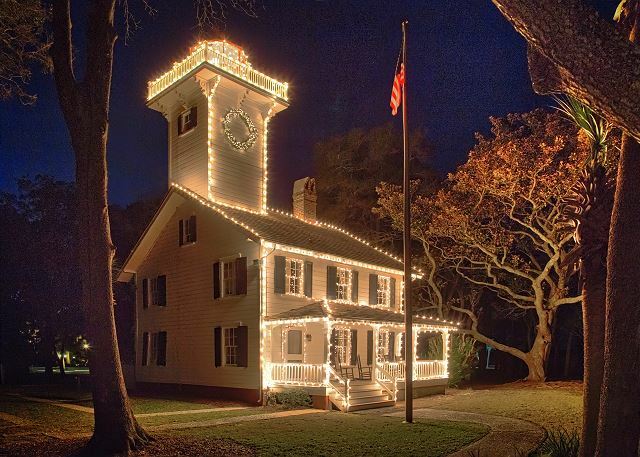 While it serves as a guesthouse with two bedrooms, kitchen, dining room and porch overlooking Calibogue Sound, the Lighthouse is also a sought-after venue for weddings, special events and private parties. Had family stay for three nights. They enjoyed the history, roof access, and space. Club opens for breakfast rather late for early risers. Shen we ordered simple scrambled eggs saturday, why did it take over 30 min to. Be served?? Mansion offerings for early tee timers was limited. What an amazing experience doing a discovery visit to Haig Point. The community is everything we are looking for. The every staff member was outstanding and the members we ran into were genuine and very friendly. Can not wait till our next visit. Haig Point Lighthouse, a real charmer! A weekend in a Lighthouse what could be better? Nothing. 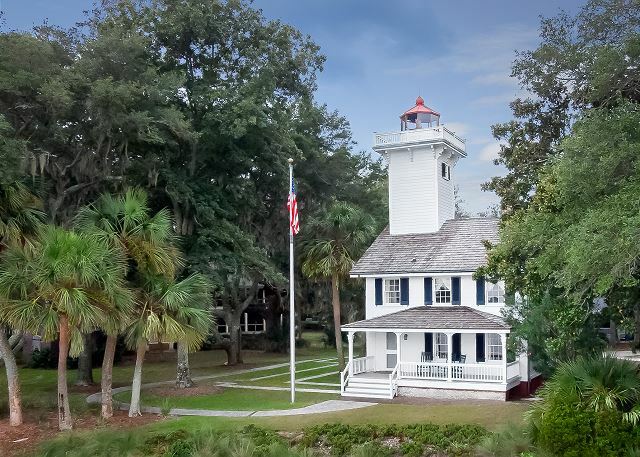 This Lighthouse is located right on a point address from Harbour Town. Fantastic trade winds blowing through open windows make for am amazing experience. Add in a little bit of "haunted" history and mouthwatering food and it is a recipe for a one of kind stay. We loved it.